Here are some tips on learning trigger control from professional shooters and other known authorities when it comes to handgun (and other) shooting. Follow these tips, and your trigger control should noticeably improve. There aren't too many people who have a better perspective on a good trigger pull than Robbie Leatham. Leatham, for those unaware, is one of the fastest, most accurate professional shooters living, having won scores of shooting matches and championships with 1911s, other semi-autos and recently returned to shooting revolvers. Leatham posted a few tips in a blog post on the Springfield Armory website, which just so happens to be his main sponsor and employer. 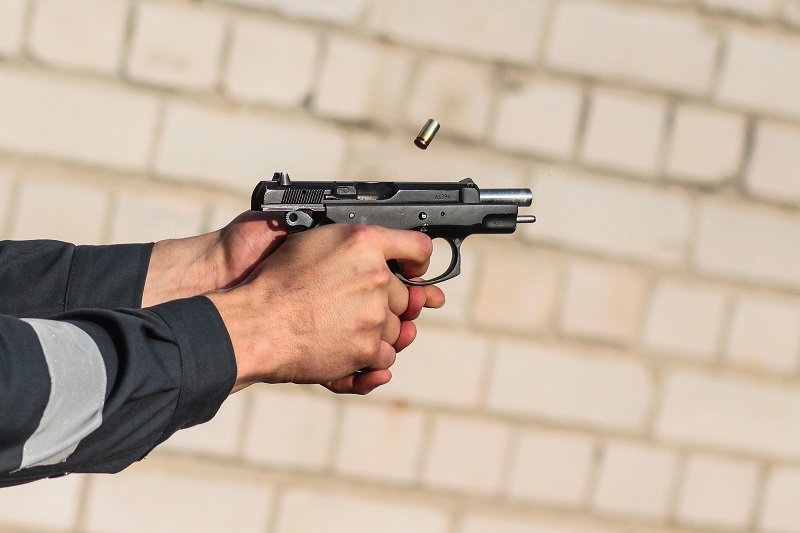 First, he recommends having a good grip on your firearm, as not having a good grip will deny your arm, hand and finger muscles the ability to work at peak efficacy when pulling the trigger. Therefore, he recommends, make sure you have a gun suited for your hand. Leatham also recommends regular dry fire practice. He does it regularly, and advocates it as a way to focus on grip and how one pulls the trigger. 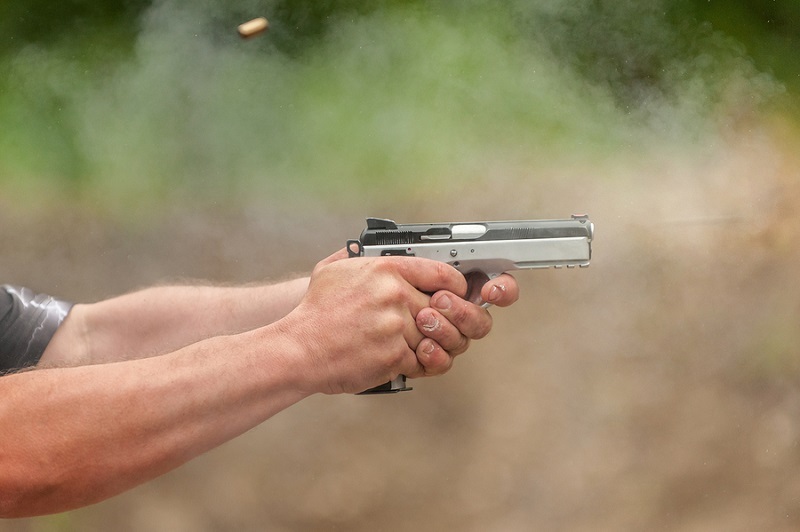 By diligently engaging in dry fire practice, the shooter can focus on perfecting trigger pull. He also advocates starting slow and building up from there. "Think smooth and steady," Leatham writes, as a slow, smooth, perfect trigger pull can be practiced until it becomes a fast, smooth trigger pull. Only highly advanced shooters can jerk their trigger finger quickly and not disturb their grip on the gun; people learning trigger control should "save that for later" as they learn. Bill Jordan, the legendary Border Patrolman, combat marine, trick shooter and gunwriter advocated for a slow, smooth trigger pull with a double action revolver, which translates likewise to a slow, smooth pull on any other variety of pistol. Many of Jordan's contemporaries favored what's called the "two-stage trigger pull" in double action, where you pull the trigger three-fourths of the way, briefly hold, and THEN pull the rest of the way to fire. Jordan acknowledged that it worked for some people in his landmark work "No Second Place Winner," but found that a deliberate, smooth pull in one motion was the best way to pull the trigger. 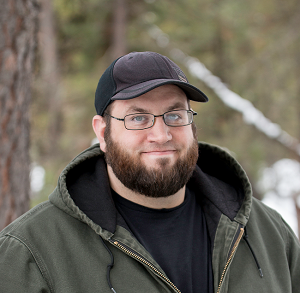 Jordan likewise advocated dry-fire practice to improve trigger control. Granted, the book was written by a man of a different era, shooting different guns well before the semi-auto became the dominant handgun and well before semi-auto ammunition began to seriously improve. However, a man that was able to clear a Smith and Wesson N-frame from its holster, fire from the hip and hit a Lifesaver in less than 0.3 seconds...is definitely a man to heed the advice of. 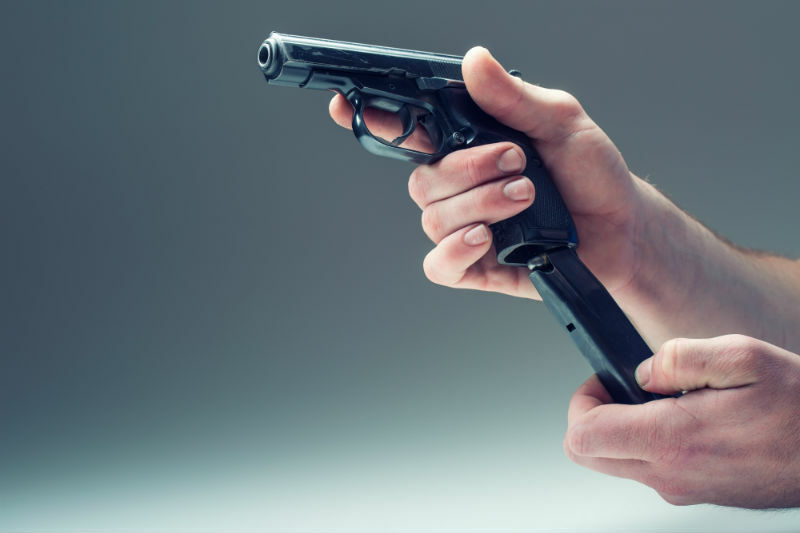 Jeff Cooper On Trigger Control: The "Compressed Surprised Break"
The technique taught by Jeff Cooper, the man who devised the 4 laws of gun safety that we're all so familiar with...or at least should be, since they cover most of what a person needs to know about handgun safety. Going over all the contributions that Cooper made to the realm of handgun shooting would be too compendious to do in one sitting, but what he contributed as far as trigger operations are concerned is what has been termed the "compressed surprised break." The traditional "surprised break" is the "squeeze, don't jerk" technique taught to most beginning shooters. The trigger isn't to be jerked, but rather slowly squeezed until the gun goes off. This prevents the trigger jerk from pulling the gun off-target and also preventing the shooter from flinching prior to the sound, flash and recoil of the gun going off. Flinching can cause the gun to be pulled off target as well. Cooper taught students to imagine the trigger as a glass rod, that would "break" when the apex of the trigger pull was reached, but that breaking the rod requires a quick snap. He balanced this by teaching students not to flinch or jerk the trigger. In other words, he married the slow, smooth trigger pull with speed. This imparts how to "take one's time, fast" as Wyatt Earp put it. The compressed surprise break, therefore, is the "Goldilocks" trigger operation: smooth enough for accurate fire, fast enough to be used when it matters. 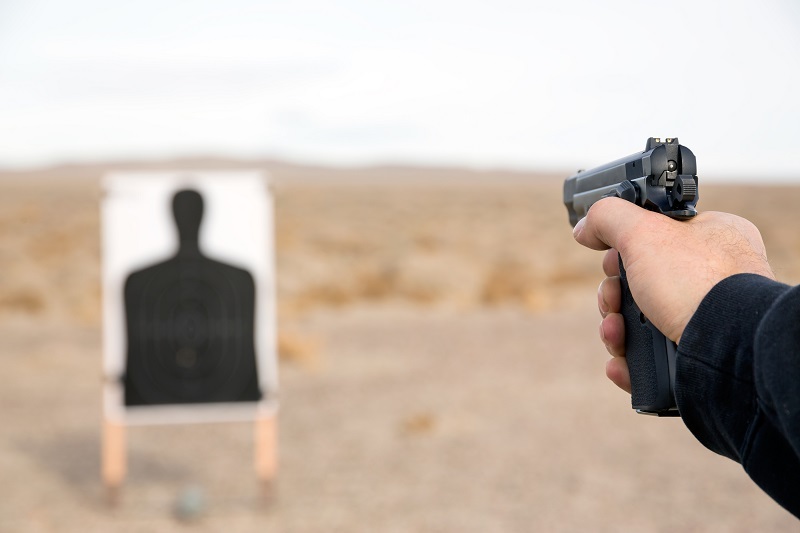 If you focus on these tips for trigger control, you should see your shooting improve dramatically, especially during defensive shooting practice. After all, this is how the pros do it.